I was reading a post on Christina’s blog the other day about a calendar she made from photos of her garden and remembered that I too normally make one. I haven’t for a couple of years but with that prod from Christina, I decided to leap purposefully into action. 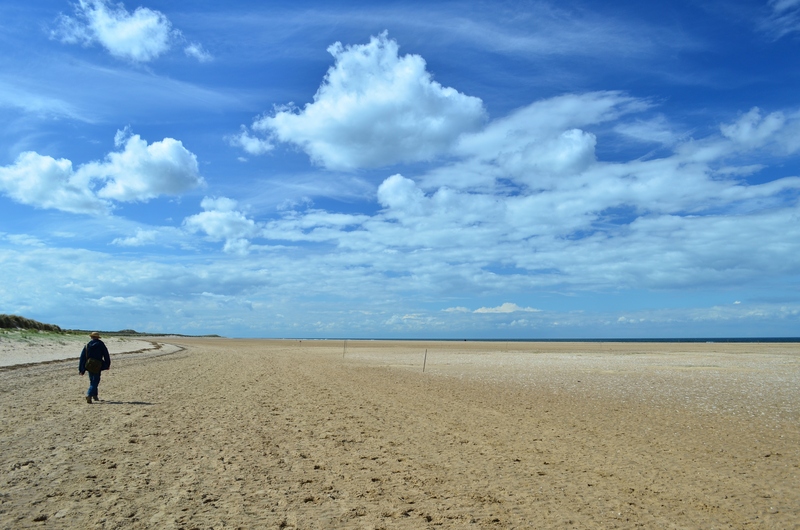 Using an online company, I uploaded twelve photos and a thirteenth for the cover. 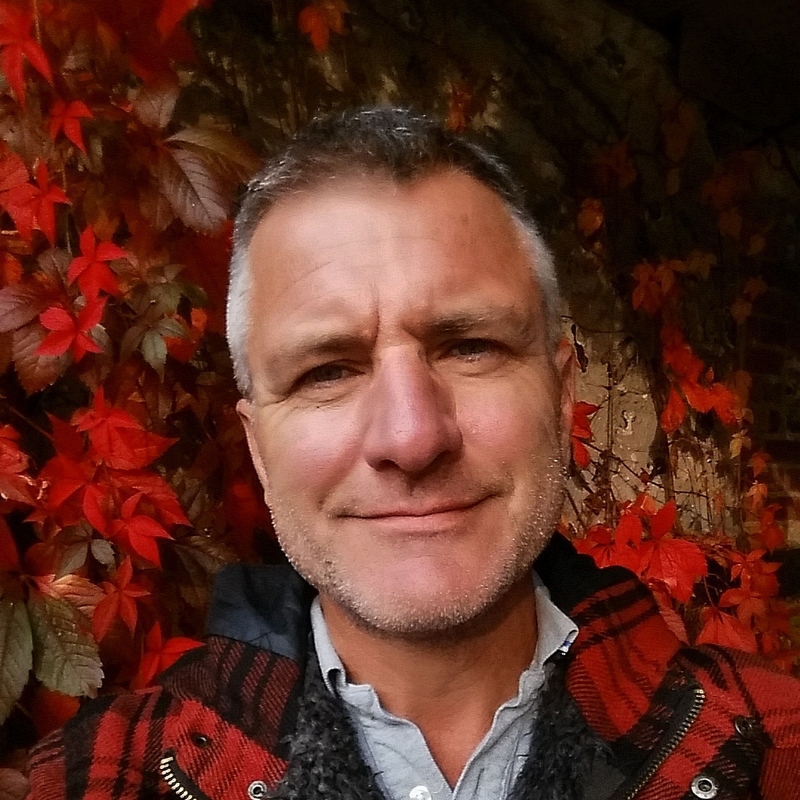 The photos are taken at the Priory and mostly during 2014. 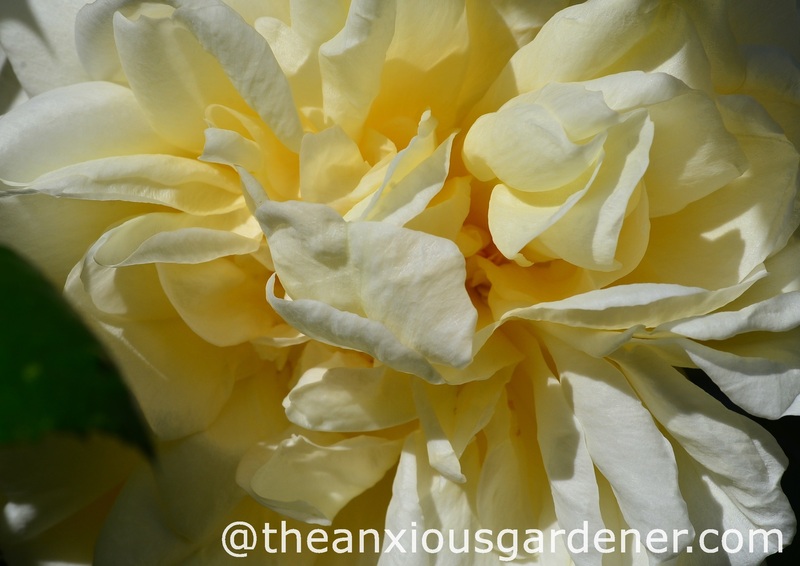 Some have appeared on The Anxious Gardener before but not all. Anyway, here they are. For the cover I used a rose … but I can’t remember which one. R. ‘Claire Austin’ probably. 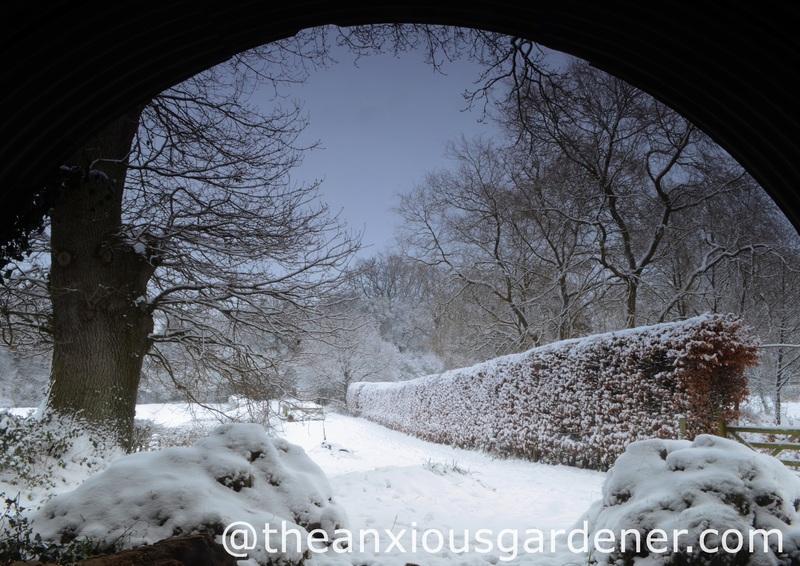 January 2012 provided a view from the shelter of an old Nissan hut where I chop wood in bad weather. 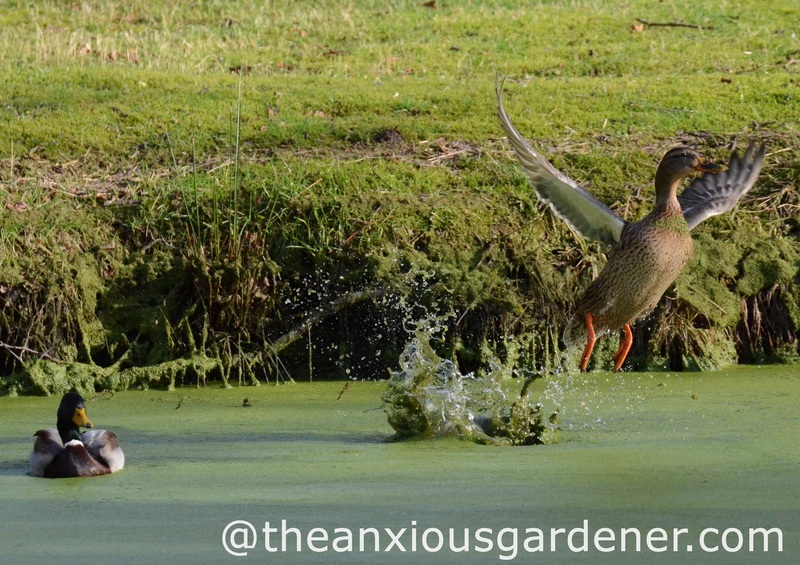 February has a female mallard flying out of duckweed soup as I took one step too close. 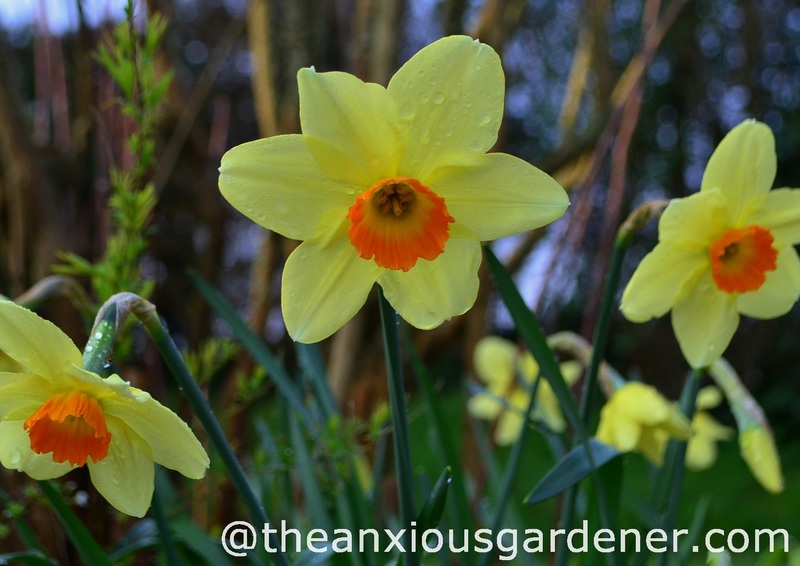 March brings daffodils – or at least March 2014 did. Usually most don’t appear till April. 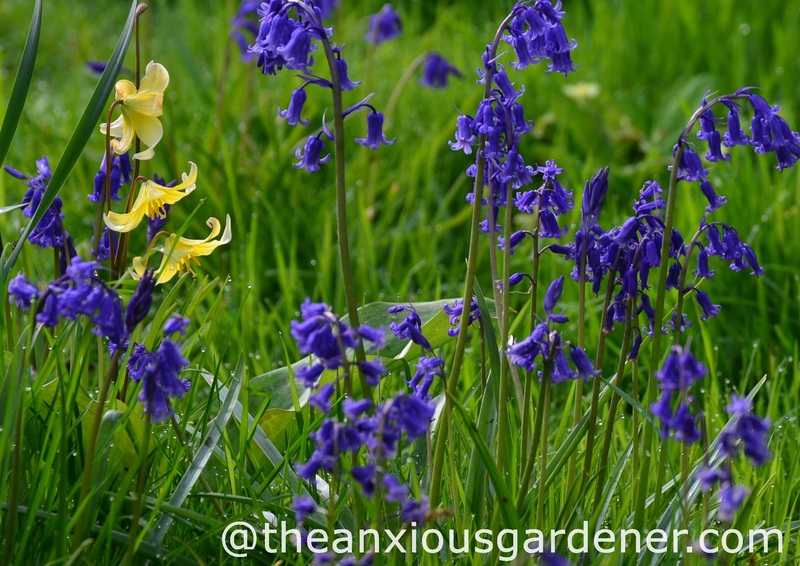 Speaking of April – English bluebells and Erythronium ‘Pagoda’. 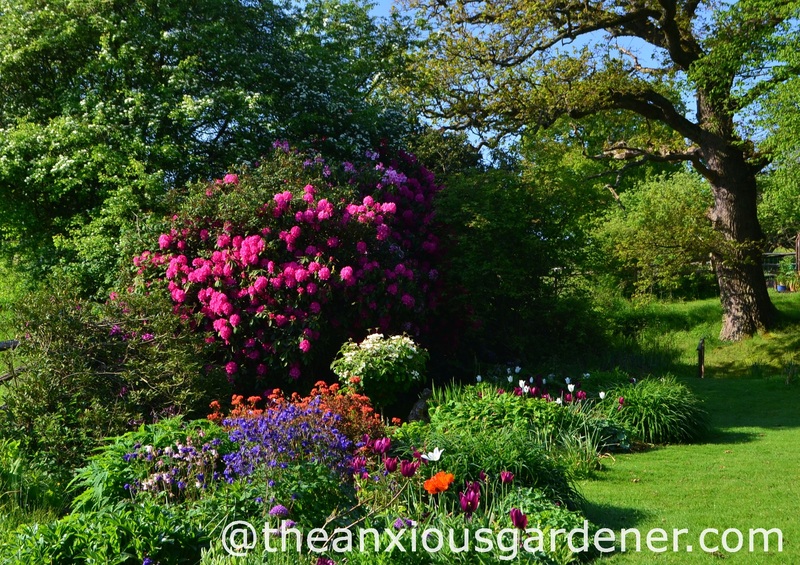 May 2014 and the kidney beds are busy against a backcloth of rhododendron and hawthorn. 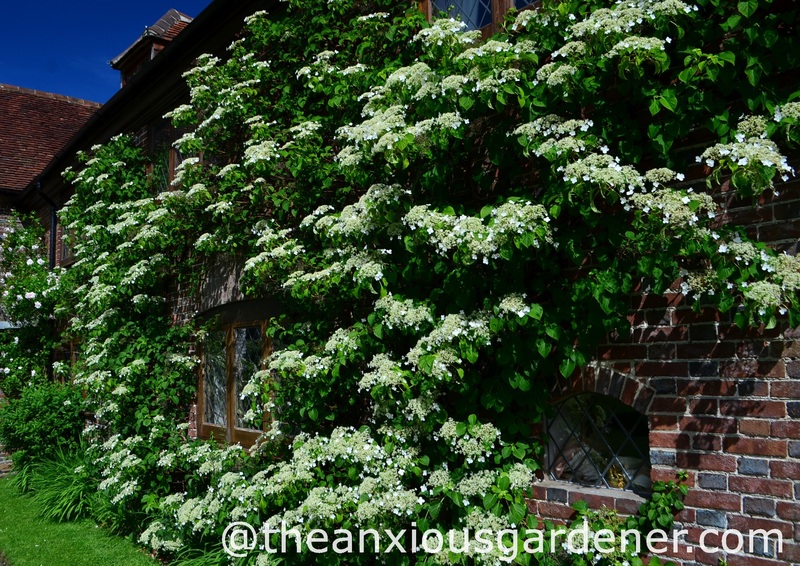 Last June was good for the Hydrangea petiolaris on the front wall of the house. Some years, late frost kills the flower buds. 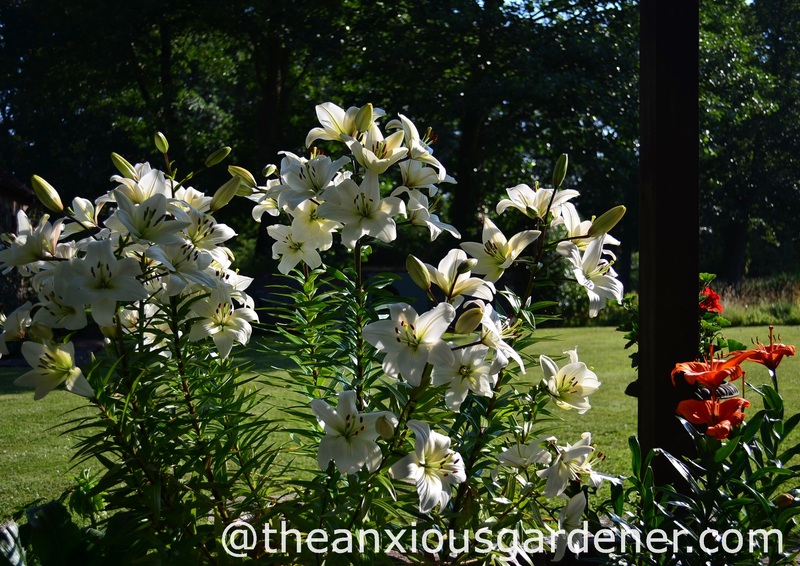 2014 was a good year for lilies too. This is July. 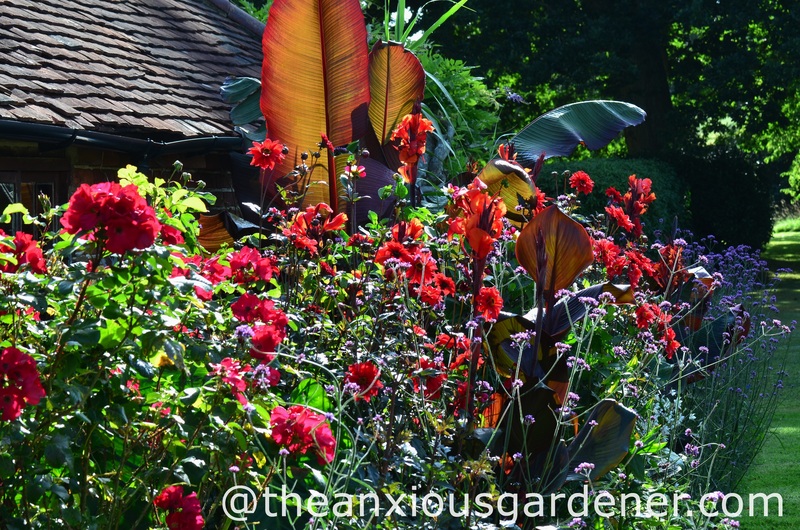 I’ve used the tropical border from 2013 for August. 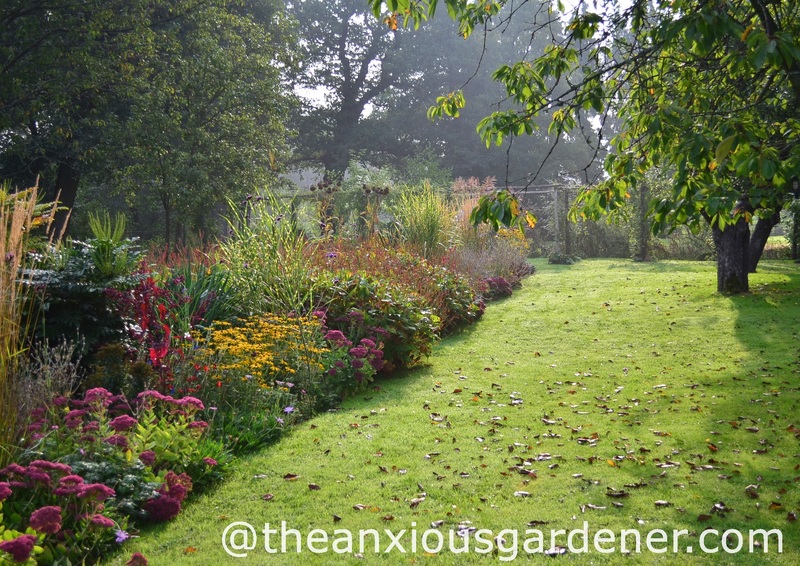 Back to 2014 for this September scene featuring the long borders. 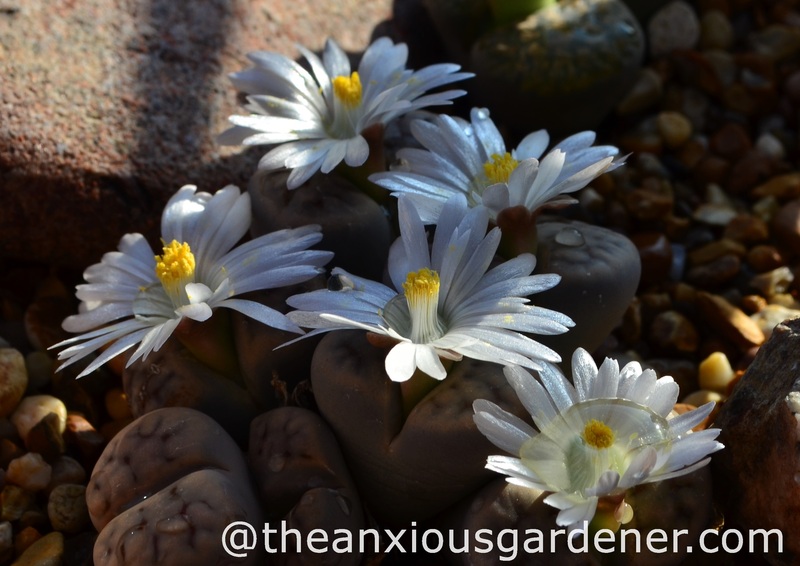 October 2013 gave me flowering lithops (taken after some slapdash watering). 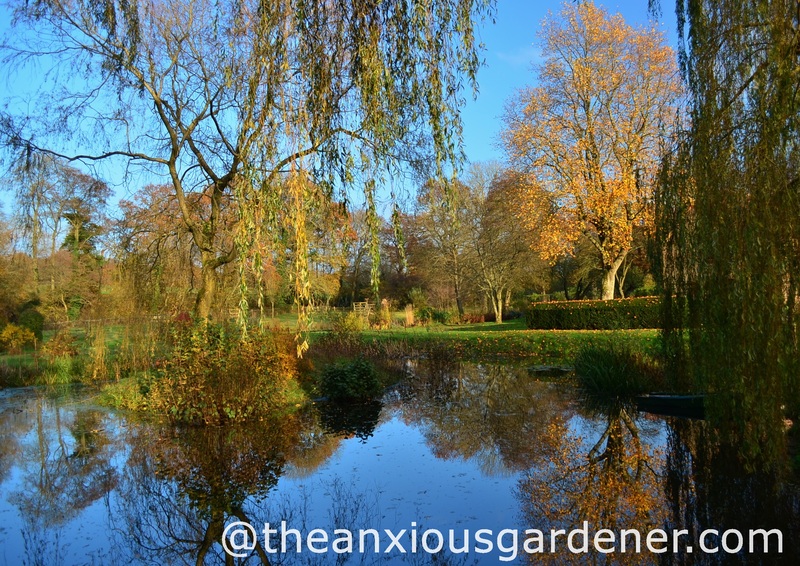 The west pond in November featured in a recent post. 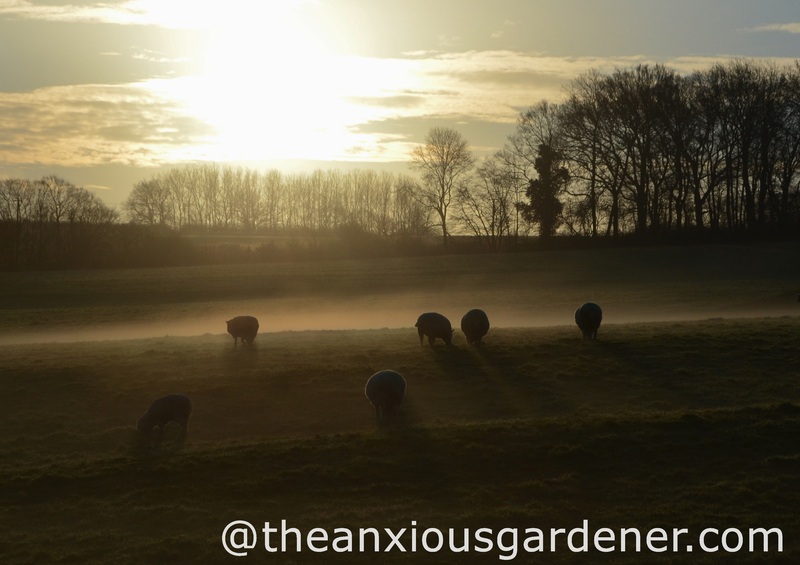 And finally, way back to 2012 for this shot of Margaret’s sheep grazing in wintry sunshine. It was quite time-consuming picking photos and a couple of them didn’t reproduce quite as well as I’d hoped but still worth the effort, I think. Great Idea! How much do they charge for the calender? Thanks. That seems like great value. Gosh, absolutely stunning! Both the photos and your garden. Thanks for sharing. Wow fantastic pictures, it sure is a great way to have something special hanging on the wall each month rather than sitting on your hard drive. Love the sheep! 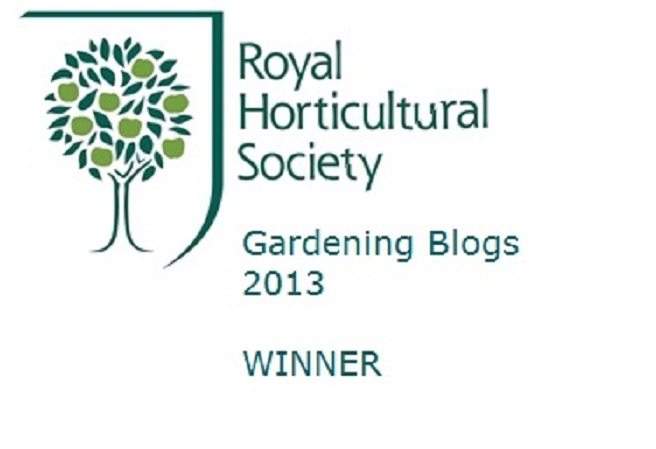 I’m still waiting for mine to arrive although I went with photos of my son through the years rather than the garden here – the photos I chose are more entertaining! I do like seeing a whole month at a time, gives me a realistic sense of the ebb and flow of my days. 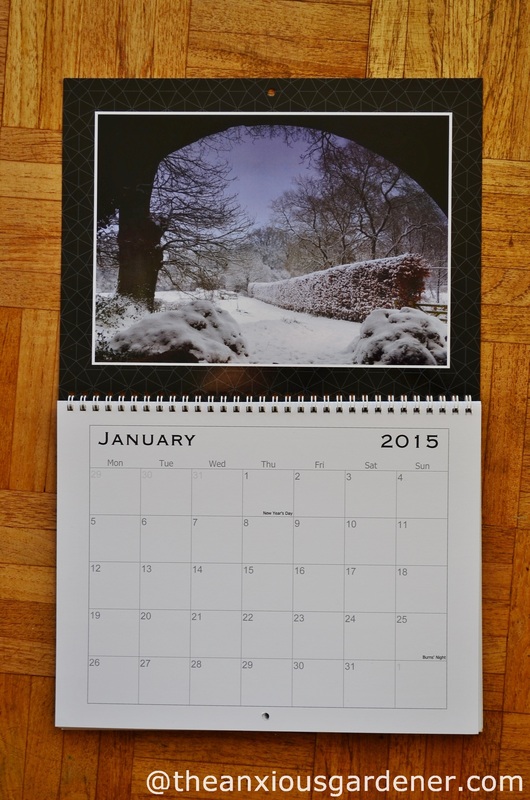 Super photos for your calendar, love the snow scene and the sheep! 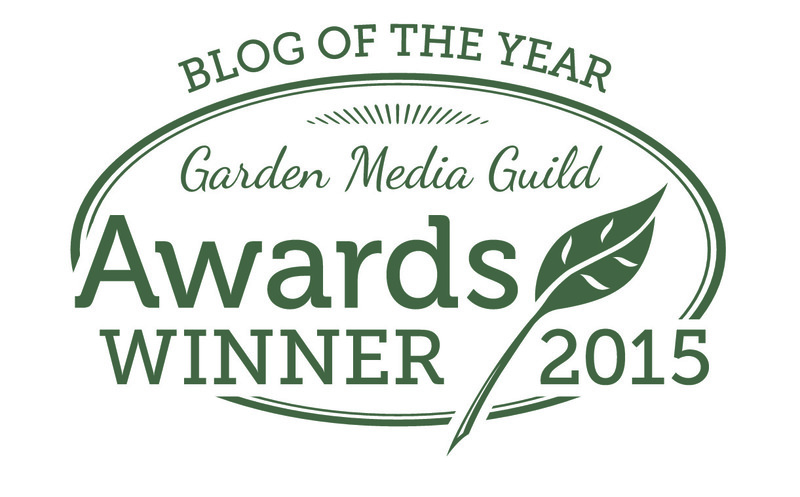 It must have been hard deciding which photos to use as you always have so many wonderful shots of the garden where you work! Great set of pics, my fave being the sheep! If you don’t mind me saying so, I find the size of your copyright notice a bit intrusive. I’d suggest a smaller font. 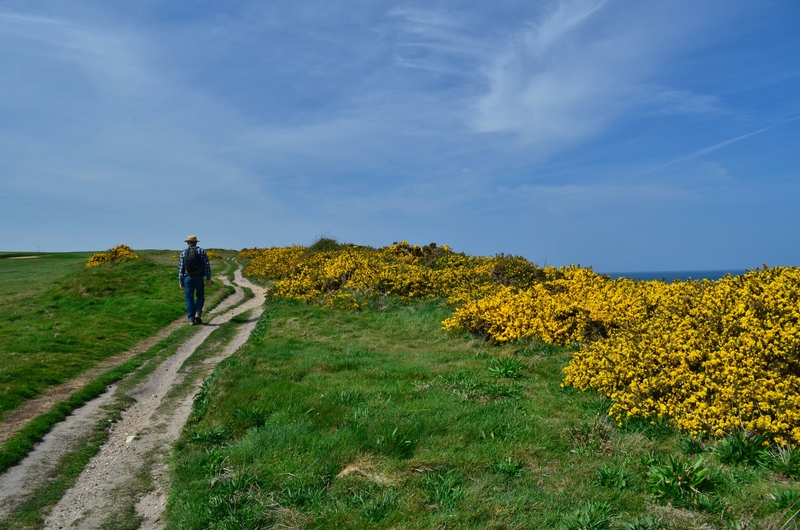 I love your photos; they are so full of life and joy, the colors are amazing. Great Idea, I particularly liked your border views. Love your Calendar David, your photo choices are all really beautiful and serves as a wonderful review of last year. I make a yearly calendar featuring my family, its such therapeutic and enjoyable thing to do. Love that tropical border, the lithops and the snowy sheep. And what a good idea! 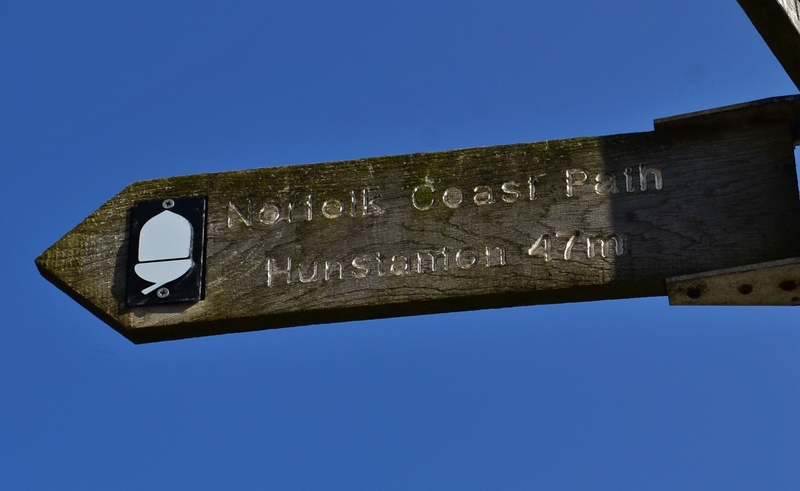 I think I’ve managed to work out the ‘V’, in case I’m ever inspired to do the same. Marvellous shots David, hard to choose a favourite. That’s a great idea David! What a beautiful calendar you’ve created – the photos reflect the seasons so well. I put one together for my daughter (in NZ) of typically English flowers and scenes, although not a patch on your’s! You’ve inspired me to try again for 2015. 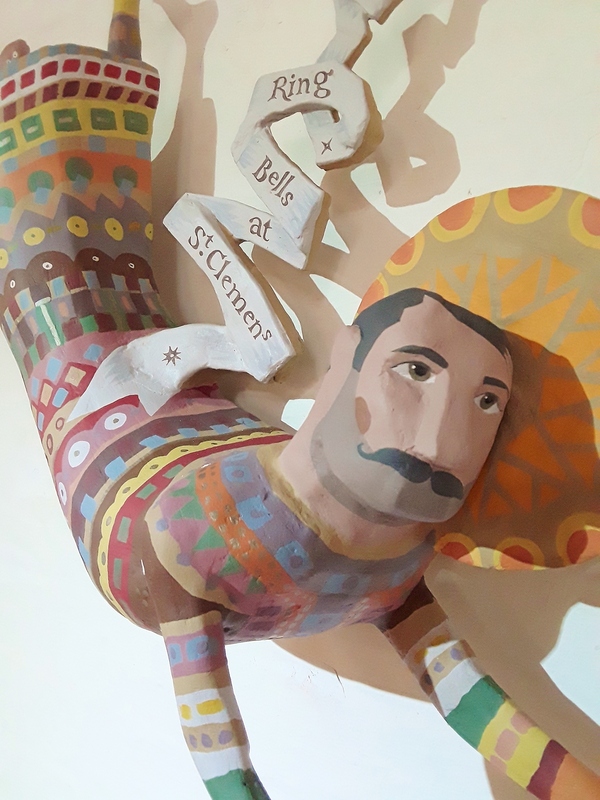 Very fun and creative idea and a great review of your year! Enjoy! What a great idea! I might do the same although I am not sure about the quality of my photos. Love your November one, not what I think of as November at all! We do the same and it’s a lot of fun to do each year. I think we use the same company (begins with a V?) We came home last year to find our calendars’ box a very soggy state, left on our doorstep in the rain. Luckily our neighbour rescued the box before the calendars were ruined. I’ve complained to the delivery company and let V know, and suggested they might like to change their courier. V refunded the cost of the calendars (delighted even though that wasn’t my intent) and the courier company have yet to reply! I Also make calendars using photos of the garden, and friends always look forward to receiving their Christmas present. I agree it is time consuming to choose the ideal photo and upload them, but always satisfying to see the finished product. I have actually kept one for myself this year! Happy New Year Dave. You’re lucky that you could use the on-line company, I had wanted to do that but I think delivering anything to Italy is a bit of a problem and many companies won’t even attempt it! Good choices, I love your snowy scene, but then snow is always better in photographs than it is in reality!